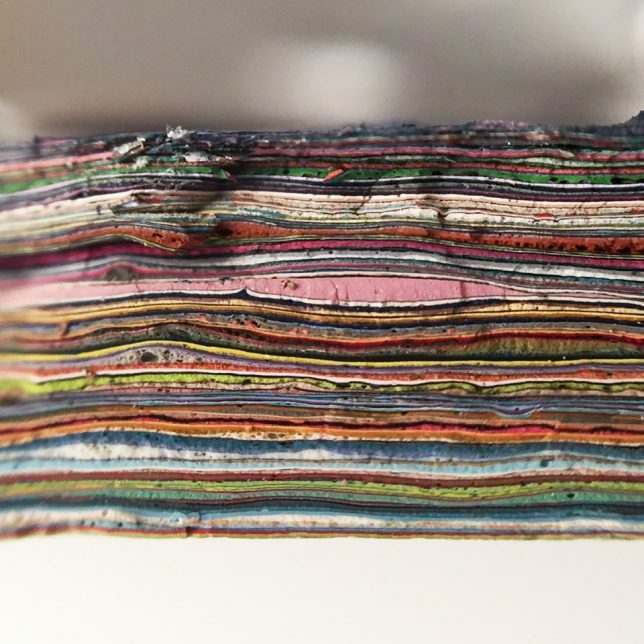 Core samples let geologists examine layers of the Earth, graffiti fans peel back decades of art, or in this case: allow race watchers to see what a century or so of repaved track looks like. 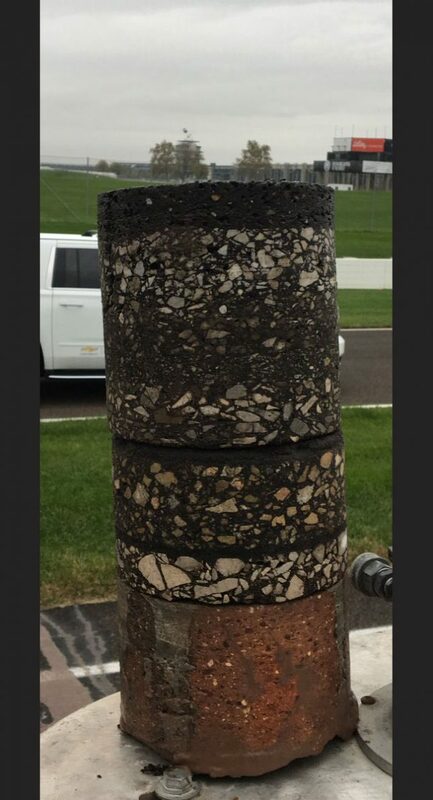 The Indianapolis Motor Speedway is one of America’s favorite and most famous racetracks, and it has changed a lot over the centuries variously paved with everything from creek gravel to bricks. 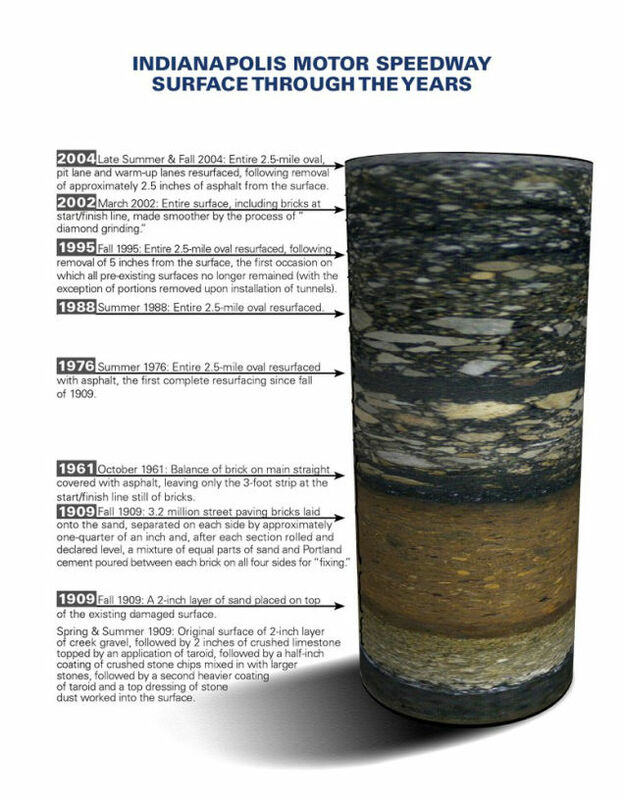 IMS president J. Douglas Boles posted this core sample with an annotated graphic giving the history of the various iterations. The thickness is relatively remarkable too, given that it represents just eight repavements over 108 years. 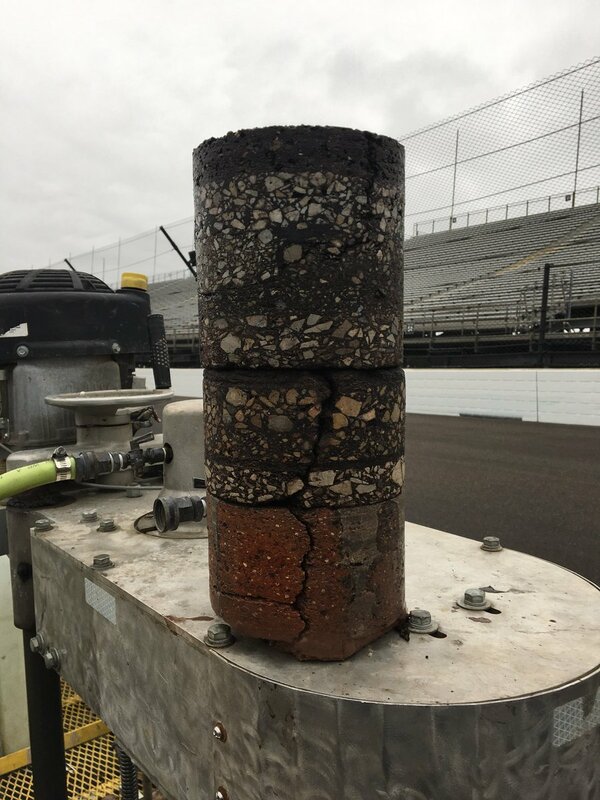 Instead of ripping out and rebuilding, they have simply paved over the old racetrack time and time again, creating what looks like an elaborate chocolate cake when a circular section was lifted out of the ground. 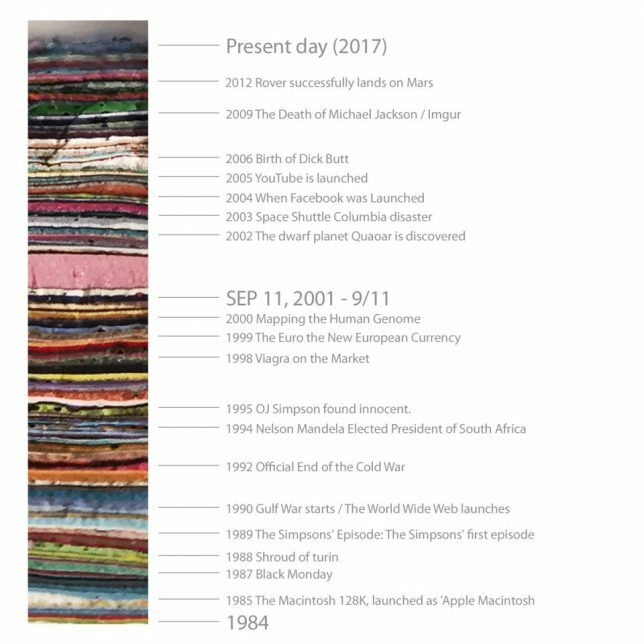 Artificial core sample fans may also be interested in a Dutch building that was given a similar treatment — sampled and examined — in a horizontal direction, removing a section of graffiti-covered wall to analyze how it has changed over time.